WITH many Singaporeans in their 60s wishing to work for longer, Singapore will legislate a higher re-employment age by 2017 - from age 65 to 67, said Prime Minister Lee Hsien Loong on Sunday in his National Day Rally speech. "From the workers' point of view, 65 may be too early to stop work. Workers want us to raise the re-employment age and they want to keep working for as long as they are healthy," said Mr Lee. While the plan to raise the re-employment age to 67 isn't exactly new - the government first set this goal in 1993 - Mr Lee's announcement sets a defined time frame for the legally mandated re-employment age to increase by two years. This follows an agreement reached by the tripartite partners - the government, unions, and employers - who have been discussing how to give companies time to adjust to such a change. Mr Lee said that the timing for such a change is important, so that re-employed workers can be productive contributors instead of a burden on companies, and employers can have time to adjust. "Otherwise, it's not sustainable," said Mr Lee. At present, firms are required by law to offer re-employment to eligible workers when they turn 62, up to the age of 65. The re-employment age was raised to 65 in 2012. In response to the announcement, NTUC deputy secretary-general Heng Chee How said in a Facebook post: "Mature workers wanting more legal backing for asking companies to give them the chance and the choice to continue working will be happy with this decision . . . The focus now must be for all companies to get ready for the enhancement. "NTUC and our unions will actively play our part at (the) national and enterprise level to see to fair and smooth implementation." Also welcoming the news was Victor Mills, chief executive of the Singapore International Chamber of Commerce. He told The Business Times: "(Raising the re-employment age) is the right thing to do to combat ageism and recognise the demographic changes we will experience in the years ahead." 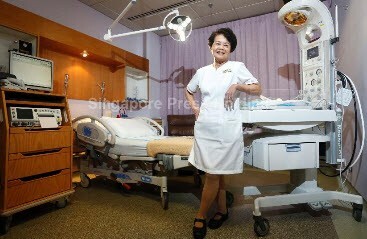 On the issue of helping Singaporeans age well, Mr Lee said that Health Minister Gan Kim Yong, who leads the Ministerial Committee on Ageing, will announce an Action Plan soon. This, Mr Lee said, would hopefully make Singapore a model for successful ageing.